Very little on him that I could find. This site ranks him #31 in North Carolina class of 2019. Brother Rice has been good to the Birds in the past (Rico Hill and Vince Greene). @VerbalCommits: 2019 Trinity Christian (NC) G D.J. 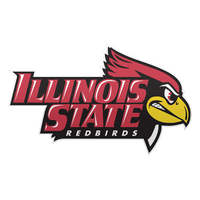 Horne has received an offer from Illinois State. So Drake has gotten a top 20 kid and a top 10 kid in Illinois in the past week? That’s pretty good for Drake. Were we not trying to get these kids to ISU (serious question)? West Oaks head coach Kenny Gillion continues to keep the tradition of gritty, tenacious guard play intact with the addition of the incoming senior guard. At 6-foot-5, Crawford is an athletic guard who can really create his own shot. His quickness and chock full of one on one moves tend to leave defenders guessing. Crawford, who averaged 16 PPG last season, will help cushion the loss of recently graduated guards P.J. Person and Tyrieke Blakeney. Didn't make his top 10. Another situation where he blew up after we offered.